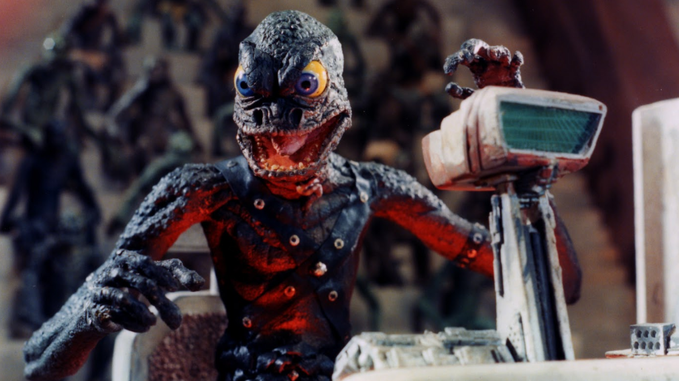 Visual Effects Legend David Allen's "THE PRIMEVALS" Needs Your Help! 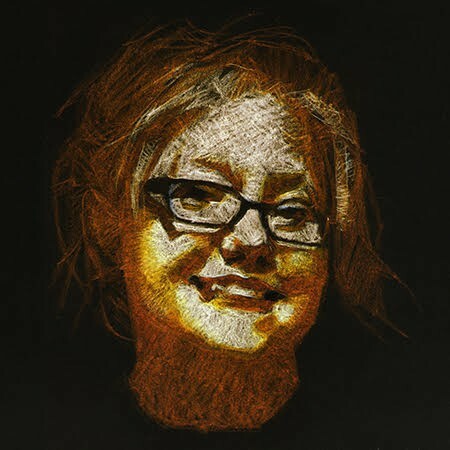 Recently it was brought to my attention to a project that tickles my heartstrings. See I love stop motion animation, and here I was given the opportunity to help a legend in the industry share the word on a project he fought for throughout his life. The late Dave Allen (credited with well over 45 visual effects credits on IMDB) has been trying to get his vision for "THE PRIMEVALS" on the big screen for quite a while, and those he has left behind on this planet are still working on its completion. "The year was 1994. Full Moon founder Charles Band and legendary stop-motion animation effects artist David Allen set out to make what would be the biggest and most ambitious Full Moon movie to date--a long in development passion project of Allen's that he directed in Romania and the Italian Alps with a large cast and larger than life sets." "Band and Allen planned for a long post-production period in which Allen would create hundreds of intricately designed and animated effects shots. But when Allen fell ill and passed away in 1999, the highly anticipated film sat unfinished, with Full Moon fans all over the world wondering if they would ever be able to see Allen's now-mythical magnum opus." "Finally, after decades in the vault, Full Moon is launching a campaign to release David Allen’s THE PRIMEVALS, and we’re calling on our fans to help fulfill David’s vision and bring this larger-than-life-retro-sci-fi epic to lustrous life." 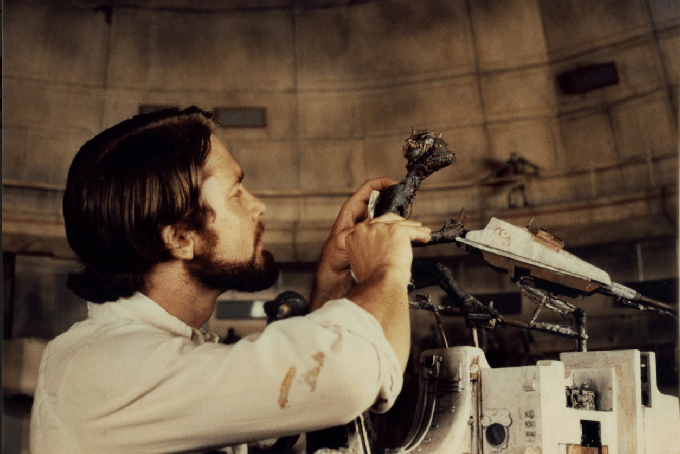 "Finishing THE PRIMEVALS exactly how David had envisioned it to look and feel, would require - by today's standards - a Herculean post-production budget that we simply do not have access to. And while completing the picture will require some compromises, we nevertheless plan to deliver a version that is as close to David’s ambitious, grandiose design as possible, based on the resources that have and will become available to us." "You NEED to see what has been filmed. And you WILL." "When released, THE PRIMEVALS Special Edition Blu-ray set will feature two alternate edits of the film. The first will be the new, completed cut overseen by producer Charles Band. The second will be the "director’s cut"-- faithfully assembled as David Allen intended and containing special animatic storyboards representing the unrealized shots from THE PRIMEVALS. Both films will make for a fascinating comparative study, creating the definitive THE PRIMEVALS experience. A third disc will premiere a feature-length THE PRIMEVALS documentary from Daniel Griffith of Ballyhoo Motion Pictures loaded with never before available behind the scenes and archival footage from the many years of this film’s amazing journey." "This release of THE PRIMEVALS is a tribute to the man who imagined it, the late special effects wizard David Allen. Allen's visionary talents rested in the world of stop-motion FX, frame-by-frame moving miniatures that he had been manipulating as far back as 1970's EQUINOX (released by our Wizard Video as THE BEAST in the early 80s) and developed in early Charles Band collaborations like LASERBLAST and THE DAY TIME ENDED, eventually perfecting his trade in Full Moon classics like PUPPET MASTER and SUBSPECIES. But through all this, there was THE PRIMEVALS -- Allen's dream project, one that dates back to the early 1970s. With this film, David had brought together all the elements he wanted to explore in science fiction/fantasy filmmaking. Meanwhile, Allen continued to evolve his craft throughout the 80s in films like YOUNG SHERLOCK HOLMES, BATTERIES NOT INCLUDED and WILLOW, but finally, in the mid-90s, Band and Allen officially began production of THE PRIMEVALS. With lavish sets constructed in Romania and exotic locations like the Italian Alps, David Allen directed his pet project. After the live action photography was completed, Allen and his crew, including longtime associate Chris Endicott (THE AVENGERS: INFINITY WAR), began the exhaustive work on the intricate effects. 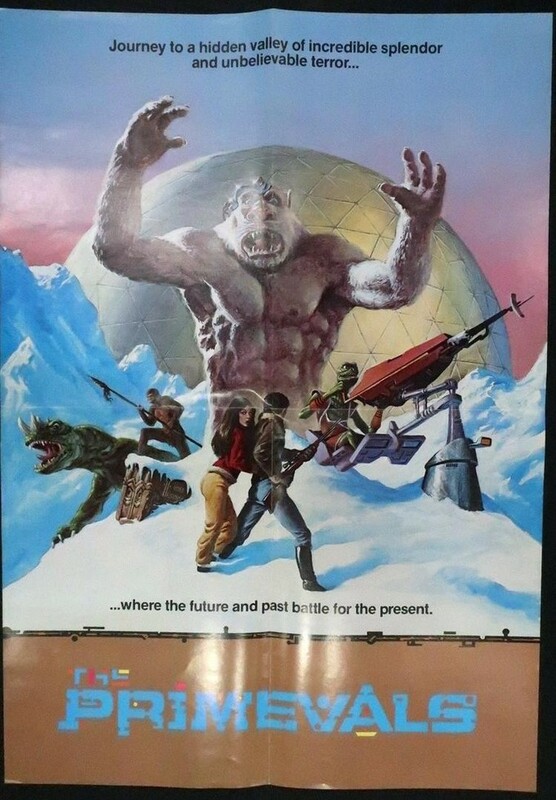 Lizard warriors, monsters, Kong-like Yeti Gods...all were here, and all were awesome." "The idea was to have a wide window to finish those effects, but then Allen fell ill to cancer and passed away in 1999, effectively shelving THE PRIMEVALS indefinitely. This year, however, Band and Endicott re-connected with the aim to revive the project." "Full Moon has set up an appealing, multi-tier incentive program to get fans involved. 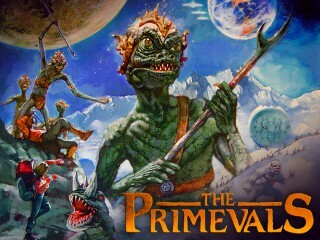 Donating to THE PRIMEVALS Indiegogo campaign is not just a chance for you to be part of an exciting feature film project, it's your once-in-a-lifetime opportunity to be part of fantasy film history, to have your name linked with what might very well be the final word in traditional stop-motion animation genre film making. The more you donate, the more involved you can be." "We need you to help make THE PRIMEVALS the best it can be. We need you to help fulfill David Allen's singular vision and lifelong dream." Here is a glimpse we get of "The Primevals," Dave Allen's dream project and the Indiegogo video. You can donate to help this piece of stop motion history come to life finally at the link below as well as score some cool goodies! Help a legendary motion picture magician of cinematic animations and effects dream become a reality!